In 2012, Trinity Lutheran Church applied to participate in the Playground Scrap Tire Surface Materials Grant Program, offered by the State of Missouri. The grant program, open to all nonprofits in the state, recycles scrap tires into rubber, pour-in-place playground surfaces. Part of Trinity Lutheran’s ministry includes running a child learning center, which is open to all members of the community for children ages two to kindergarten. Between that, and children from the surrounding neighborhoods who use the playground after school and on the weekends, Trinity Lutheran’s playground is well-trafficked and well-loved. Desiring to provide those children with a safe playing environment, Trinity Lutheran applied for a grant to resurface its playground. Trinity Lutheran had no reason to believe its application would be denied. The state ranked Trinity Lutheran fifth out of 44 applicants – basing its ranking on a number of factors, such as the poverty of the surrounding area. But when it came time to award the grants, the state skipped over Trinity Lutheran. They awarded 12 grants that year, but Trinity Lutheran was not among them. The state pointed to a provision in its state constitution that forbids government aid to religion. Because Trinity Lutheran Child Learning Center is run by a church, it was disqualified by the state. But the government cannot treat people of faith worse than everyone else simply because they are religious. That’s unconstitutional. 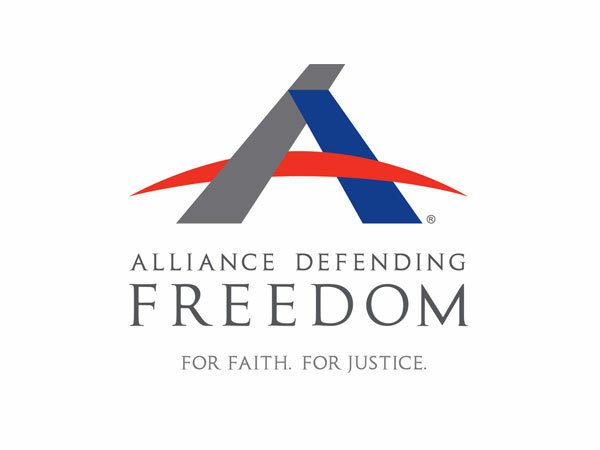 Alliance Defending Freedom (ADF) filed a lawsuit on behalf of Trinity Lutheran, and the case made it all the way to the U.S. Supreme Court. In June 2017, the Court ruled 7-2 in favor of Trinity Lutheran. And just this week, Trinity Lutheran finally got its long-awaited playground surface! While this may seem like a small victory, the implications are anything but. This Supreme Court ruling makes it clear that the government must treat churches equally and not discriminate against them simply because of their beliefs. Unfortunately, even with this victory, that principle is being challenged more and more frequently. In fact, across the country, we’re seeing numerous situations where the government is trying to control what churches teach, where they worship, or how they exercise their religious freedom. That’s why the ADF Church Alliance was created. The ADF Church Alliance is a membership program that prepares, advises, and even litigates on behalf of churches as their religious freedom is increasingly challenged. After all, society benefits when religious freedom—and churches—flourish. Like many churches across the country, Trinity Lutheran Church has been faithfully serving its community for over 90 years – providing support for foster children; donating labor, food, and funds to a local county food bank; and helping with Habitat for Humanity building projects all over the community. The ADF Church Alliance works to ensure that churches have the freedom to serve their communities and live out their faith, without looking over their shoulders in fear of the next legal threat.